She is a beautiful young lady and is an art student, plays the guitar, ukulele, and clarinet. She also takes ballet. AND she is a good student. Now if she would just put the phone down for ten minutes and have a conversation and curb her tone with her Mother, she would be perfect. But then, who of us were perfect at 15! congratulations with your granddaughters birthday Sue. gorgeous card you have made for her. This is wonderful Sue. I love the image and beautiful colouring. I hope your Granddaughter had a good birthday. They grow up too fast! Your card rocks!!! 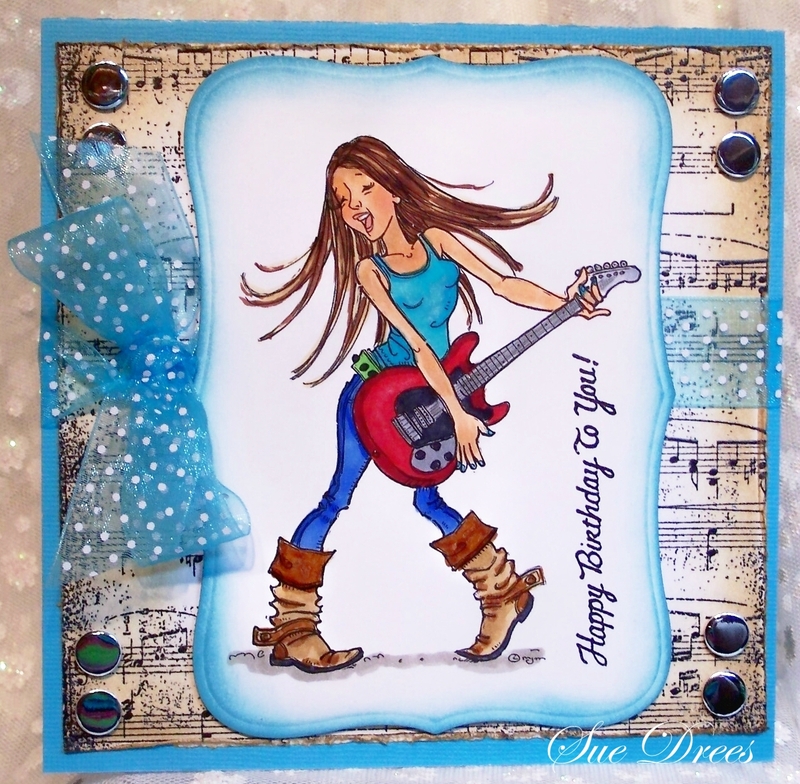 Great card for a teen - super image and love your coloring and ribbon. Happy Birthday to your Granddaughter. If she fixes the phone and tone - let me know how so I can try it on my 17 year old (actually my 22 year old as well) - LOL! hugz! Fantastic card for a fifteen year old girl! Great image, love the musical background paper and the beautiful bow! Bet she loved it!